Chelsea to table final Rooney bid, £40m! According to Mirror Sport Chelsea are set offer Manchester United an audacious £40m and move on if they are not willing to sell Rooney to their title rivals. Londoners will switch their attention to Robert Lewandowski if the champions stick to their stance that striker’s not for sale. Lewandowiski wants to join Bayern Munich next summer after his contract at Signal Iduna park ends but, BVB might sell him to Chelsea in January not to lose him to their arch rivals. Jose Mourinho will make a final bid of £40million for Wayne Rooney within the next 48 hours, Chelsea boss Mourinho wants Rooney as his new No.9 and owner Roman Abramovich will back him up with a stunning four-year contract worth an incredible £300,000 a week. But if Manchester United manager David Moyes maintains his stance that the England striker is not for sale then Mourinho will use the money to fund a bid for Borussia Dortmund superstar Robert Lewandowski. The Chelsea boss is hoping the sheer size of the Rooney bid will make the Old Trafford giants and the club’s American owners the Glazer family see it makes financial sense to do the deal. Rooney’s value will drop after the transfer window closes as he has just two years left on his current United contract.But Chelsea know that Dortmund WILL sell at £40million – it’s great money and a huge snub to their hated rivals Bayern. The snag is persuading Lewandowski to move to England, but they plan to throw so much money at him that it turns his head. Mourinho desperately wants Rooney but will go elsewhere if he has to. Samuel Eto’o is also being considered, but only as a short-term solution. Chelsea have also been given encouragement to bid for Liverpool’s Luis Suarez by his camp. The Uruguayan is a long-shot option but could yet move up the wish list. 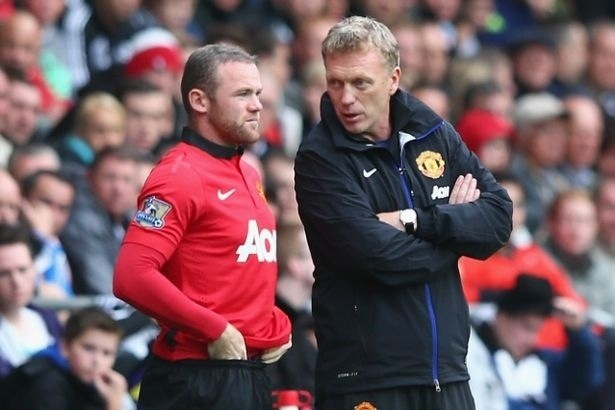 Rooney came on for 28 minutes in United’s 4-1 demolition of Swansea yesterday and had a hand in two of the goals. But he noticeably did NOT celebrate with his team-mates and is clearly desperate to get away. Rooney earned a standing ovation from the England fans for his 67 minutes against Scotland at Wembley on Wednesday but knows he needs more games.